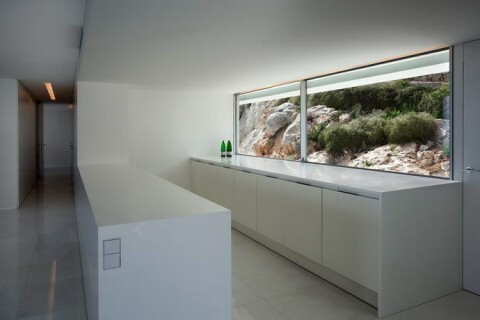 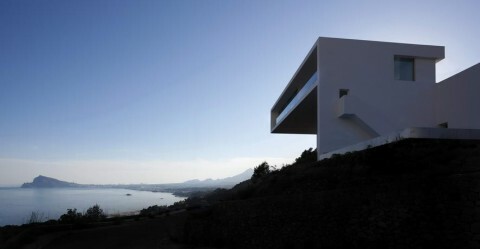 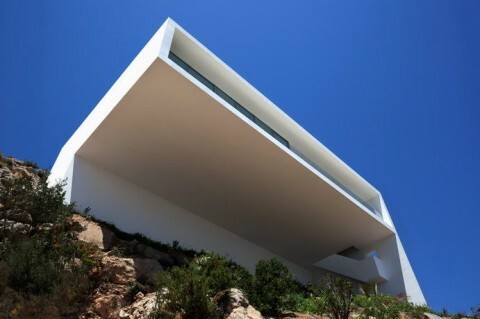 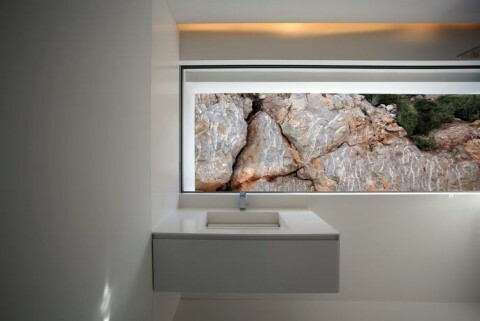 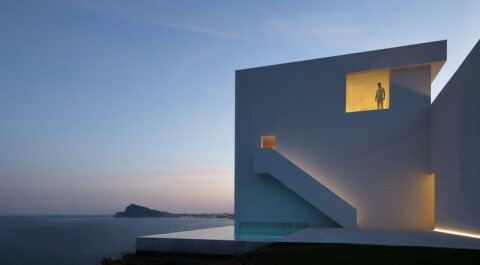 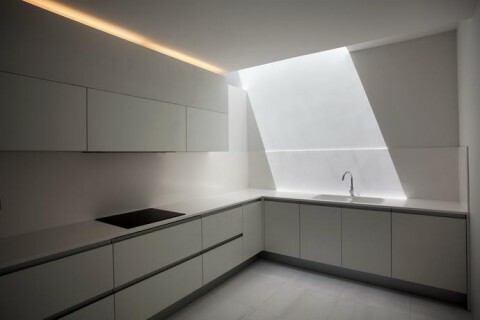 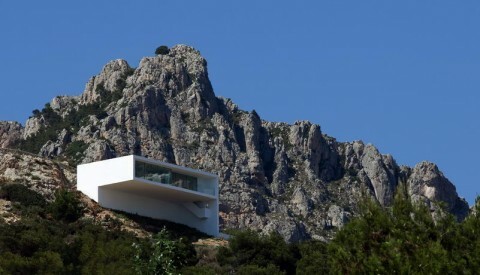 The spanish studio Fran Silvestre Arquitectos, which already designed the Casa en la Ladera de un Castillo or the Casa del Atrio, cerated this wonderful residence held in the cavity of a hill in Calpe. 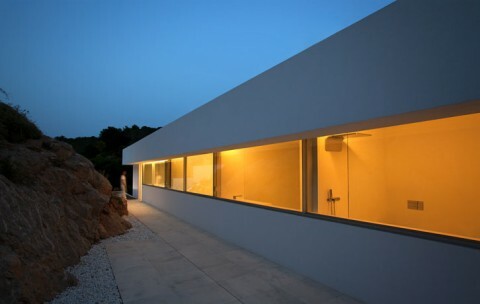 To combine the irregularity of the plot with the requirements of the clients, who wanted a single-storey house, the architects decided to divide the infrastructure into different horizontal plans. 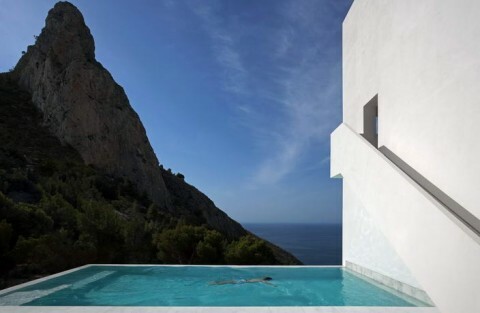 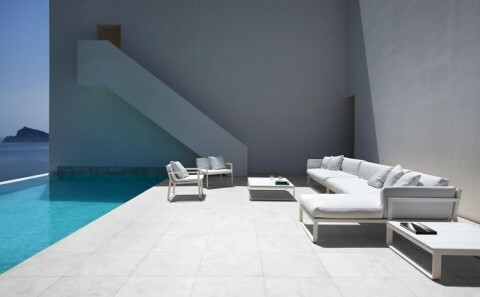 Thus, on top, in the shade and in front of Mediterranean Sea, is concentrated the inhabitable space, while lower down, as a sunny creek, lay the swimming pool and the patio. 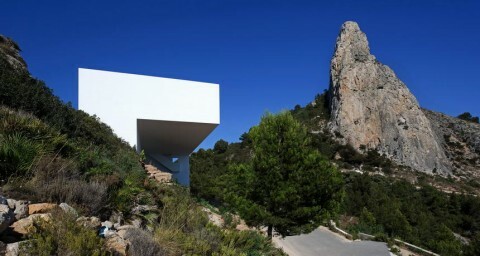 A structure allowed by the use of concrete panels and stones covered with lime. 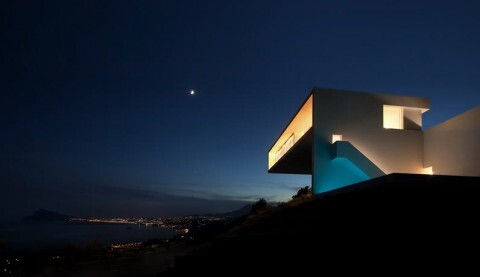 From this comes out the Casa del Acantilado, a house remarkable for its conceptual simplicity and its formal originality.